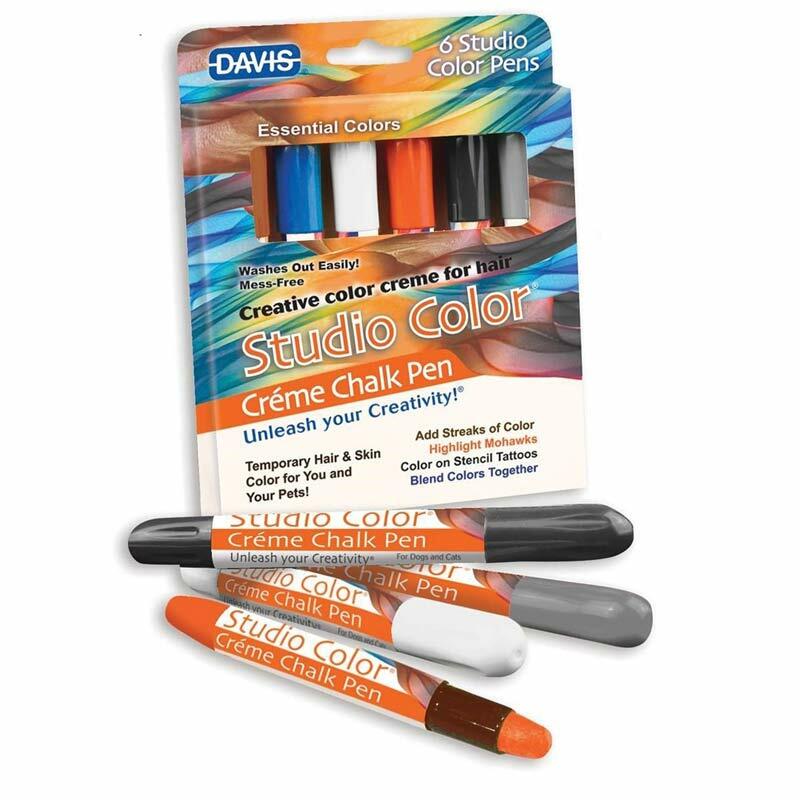 The chalk pen is the mess-free way to add temporary color to hair and skin. Works great on people and pets! Add streaks of color, highlight Mohawks, stencil tattoos and more. Easily washes out. Built-in sealant allows color to last up to 3 days. Includes 6 colors: Yellow, Red, Blue, Pink, Purple, Green.